Sudan's Bashir ousted by military; how did Sudan get here? Sudan’s Bashir ousted by military; how did Sudan get here? 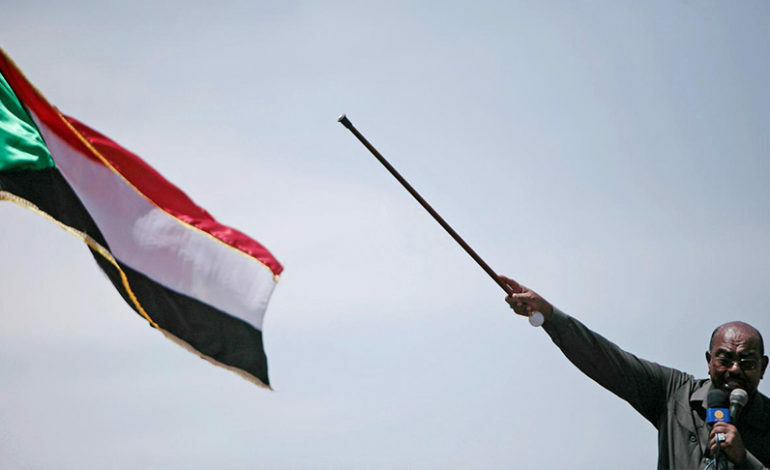 KHARTOUM — After leading an autocratic government for 30 years, Sudanese President Omar al-Bashir was overthrown and arrested in a coup by the armed forces on Thursday, but protesters took to the streets demanding a civilian government. The ouster of Bashir came after months of demonstrations against his rule. In an address on state television, Defense Minister Awad Mohamed Ahmed Ibn Auf announced a two-year period of military rule to be followed by presidential elections. Auf said that Bashir was being detained in a “safe place” and a military council would now run the country. He did not say who would head it. Bashir came to power in a military coup in 1989, amid a long civil war between Sudan’s north and south. He was accused of war crimes during his time in power for the Darfur conflict, which began in 2003 when rebels took up arms at alleged government discrimination. Hundreds of thousands were killed in the crisis. The International Criminal Court (ICC) indicted Bashir on charges of crimes against humanity and genocide. However, the investigation was suspended due to a lack of UN support. Regardless, Bashir went on to win his first term as an elected president in 2010. Following a referendum in 2011, South Sudan gained independence from Sudan. This was achieved as part of a peace deal agreed between Bashir and rebels from the south. However, with the split came significant financial repercussions, because South Sudan gained 75 percent of the territory’s oil. Sudan’s economy had already been strained by more than a decade of U.S. sanctions, which hit the country hard. The government cut subsidies in response to the drop in oil revenue, which led to waves of protests as prices for basic goods shot up. The government responded by dispersing protesters, arresting opposition politicians and censoring the media. Meanwhile, Bashir was re-elected in 2015 in a vote boycotted by the opposition. In 2017, although the U.S. lifted some sanctions on Sudan, the economy continued to deteriorate. The BBC stated that by 2018, inflation was at almost 70 percent. Following these events, the Sudanese pound plummeted in value, which led to government-imposed severe emergency measures and cut fuel and bread subsidies. 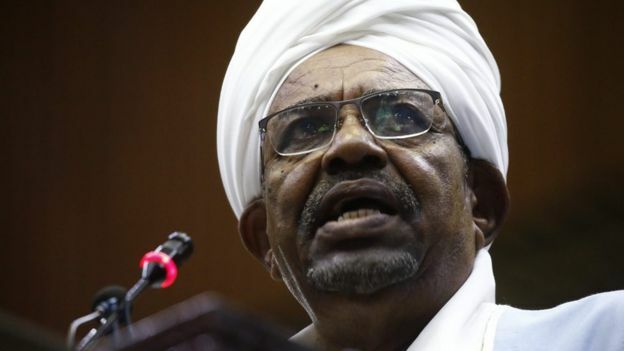 In February, Sudan’s National Security and Intelligence Services said that Bashir would step down. However, Bashir was defiant. He declared a national state of emergency, dismissing the federal government and replacing all state governors with members of the security forces instead. Bashir also tried to placate protesters, saying he would stand down at the end of his term in April 2020 and not seek re-election. However, this was not enough for the demonstrators. Critics argued that he had previously pledged to step down and then gone back on his word.